Using single crochet for demonstration: however, you can us a double or treble stitch to decrease same as you do if you want to increase the project you are working on. Note from the site: You can decrease a stitch (abbreviated dec), which is really just subtracting a stitch, in a single crochet row. You decrease stitches in single crochet in the same places that you increase stitches — at the ends of the row or somewhere in the middle. 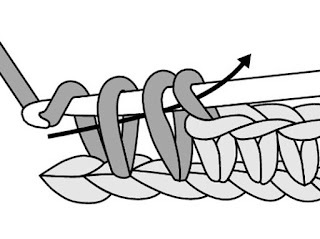 If you’re decreasing at the beginning of the row, insert your hook in the first stitch. Yarn over (yo) and draw the yarn through the stitch. You should have 2 loops remaining on your hook. You’re continuing to work single crochets normally. You should have 3 loops on your hook. 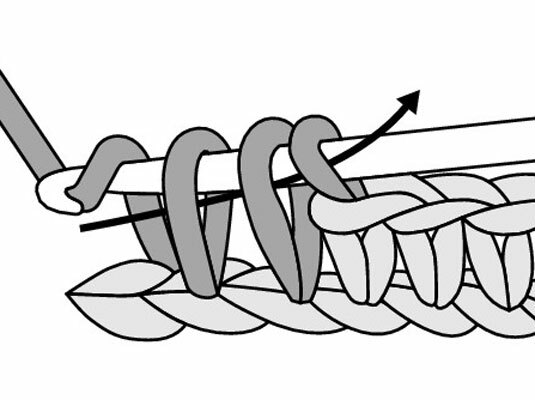 Yarn over and draw the yarn through all 3 loops on your hook. You’ve completed one single crochet stitch decrease. Take a look at these symbols for single crochet stitch decrease. Again stitch diagrams use symbols to give you a pictorial description of the pattern design; may or may not include written directions. 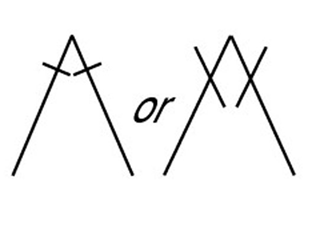 These are the symbols for a single crochet decrease in crochet stitch diagrams.